Stewardship is all about discipleship. Yes, God desires all of us to handle our personal finances in a wise, Biblical manner, but in the end, He wants our heart, not the money. It's all His to begin with anyway. When the Bible talks about stewardship, it mostly focuses on the intimate connection between how a person handles financial matters and their relationship with God. If I am in love with God, I will be a deeply committed, passionate follower of Him. As a result, I will not love money. I will desire the mind of Christ in determining what He wants me to do with His money that He has given me to manage. The New Testament paints a clear picture of a disciple of Christ. 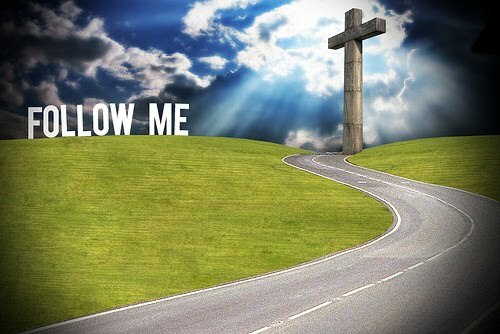 Being a disciple involves both leaving and following; once we are able to leave something behind, we are then free to follow Christ. This includes leaving behind the pursuit of money to follow Him. Jesus doesn't want his children wandering away from him. Jesus doesn't want wealth to become the object of trust that causes one of his beloved to stop trusting in him. This is the bottom line. Jesus wants your trust. He knows that if you try to trust your wealth and him, you are in an impossible situation. Your trust will go one way or the other. You can't do both, and he doesn't want to risk losing you. As Jesus started on his way, a man ran up to him and fell on his knees before him. "Good teacher," he asked, "what must I do to inherit eternal life?" Why do you call me good?" Jesus answered. "No one is good - except God alone. You know the commandments: 'Do not murder, do not commit adultery, do not steal, do not give false testimony, do not defraud, honor your father and mother.'" Jesus looked at him and loved him. "One thing you lack," he said. "Go sell everything you have and give to the poor, and you will have treasure in heaven. Then come, follow me." At this the man's face fell. He went away sad, because he had great wealth. Jesus looked around and said to his disciples, "How hard it is for the rich to enter the kingdom of God!" The disciples were amazed at his words. But Jesus said again, "Children, how hard it is to enter the kingdom of God! It is easier for a camel to go through the eye of a needle than for a rich man to enter the kingdom of God." The disciples were even more amazed, and said to each other, "Who then can be saved?" Jesus looked at them and said, "With man this is impossible, but not God; all things are possible with God." God owns everything. I'm just His money manager. Am I trusting in wealth for my security, or am I truly trusting in God to sustain me? If I'm truly trusting in God, what should that look like in my life? God has called me to invest in His Kingdom. Am I keeping too much for my own needs and desires? "I tell you the truth," Jesus replied, "no one who has left home or brothers or sisters or mother or father or children or fields for me and the gospel will fail to receive a hundred times as much in this present age (homes, brothers, sisters, mothers, children and fields - and with them, persecutions) and in the age to come, eternal life. But many who are first will be last, and the last first. There are eternal rewards waiting in heaven for those who choose to leave and follow, and the return on our investment is incredible - 100x! Our life here on earth is short. Eternity is forever. Everyday, we have a question to ask ourselves and a choice to make: are we leaving and following for the sake of God's Kingdom? Do you have a generosity plan? Thanks for this post. I think this is especially important point about the rich, because in this country, we are the rich/wealthy that Jesus speaks of. I know I am still in the process of aligning my finances with the will of God. It's not easy when our culture, family, and friends tell us there are so many things we need and deserve. This is a great reminder that all we have belongs to God and we are just here it manage it responsibly while we spend our short time in this life.